The owner of the country’s largest organic farm is aiming for self-sufficiency on everything from animal feed to energy supply, writes Grace Maher. When the biggest organic farm in the country went on the market a few years back, it caught the attention of high-profile buyers from near and afar. 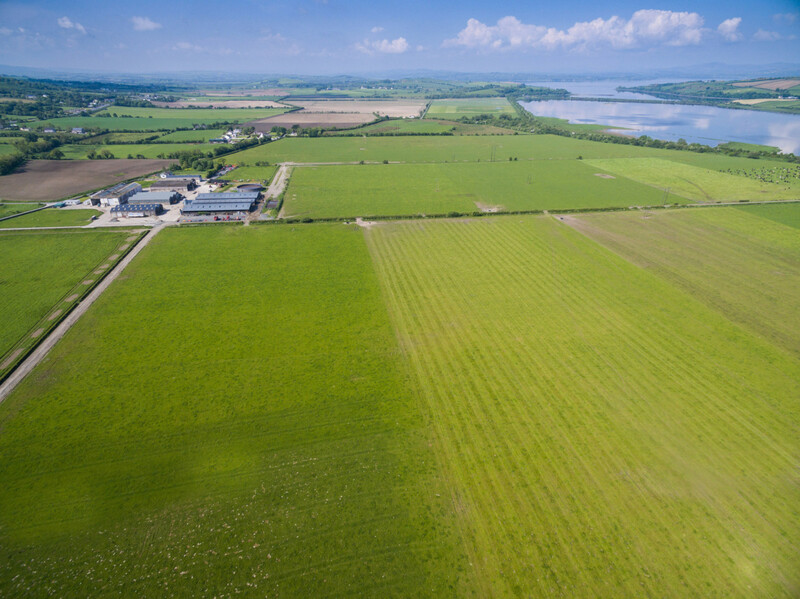 In the end, the Donegal farm, An Grianan, was purchased for €17.4m in 2017 by a young farmer, Karol McElhinney (39), who was born and bred just a short trip down the road in Ballybofey. Located at Speenoge, Burt, the land was reclaimed from Lough Swilly in the 1970s by a Dutchman, making it the largest working organic arable farm in Ireland at 2,400 acres. It was on the nearby Glenmore Estate that Karol set up his highly successful renewable energy business that has seen him create eco-friendly fuel and fertilisers. His interest in farming dates back to his childhood spent visiting his grandfather’s farm. “I didn’t grow up on a farm – my father worked with my uncle in his drapery business. My grandfather had about 30 acres of land and for as long as I can remember, I just loved farming and always wanted to own land and livestock,” he says. 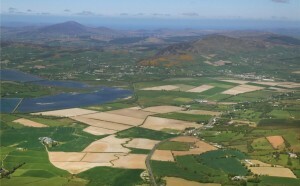 When Karol bought An Grianan, it was already an organic farm, and he made the decision to retain its organic status. “I embraced the challenge and also converted Glenmore Estate to organic production. Our main business focus at Glenmore is renewable energy and as organic farming is a complementary discipline, it seemed like an obvious fit,” he says. European organic farms are, on average, twice the size of conventional farms, and organic farmers tend to be considerably younger, so in this respect, Karol is on trend with the organic movement. In 2017, there was an increase of one million hectares of land being farmed organically in the European Union. 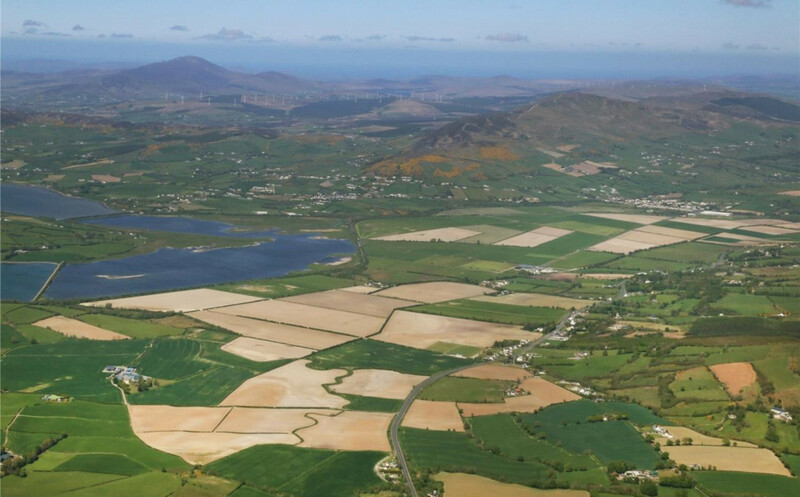 With An Grianan and Glenmore Estate combined, Karol is farming 1,163ha, which presents many challenges. “Farming on this scale lends itself to adopting the most innovative technologies available, and the integration of the renewable energy facilities coupled with production systems of the farm allows us operate a farming enterprise with a variety of different ecosystems,” says Karol. 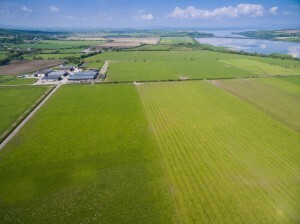 Certified by the Irish Organic Association (IOA), the reclaimed land at An Grianan is low-lying and flat and houses the organic dairy unit, which is beside Inch Lake and Inch Wildlife Reserve, with a National Parks and Wildlife office also on the farm. All farmyard waste manure is removed from the farm and processed through an anaerobic digester unit before being spread on the land, thus significantly reducing any risk to the nearby lake. The dairy herd are Holstein, crossed with Fleckvieh and Danish Reds. “Most organic dairy herds are crossbreeds, as pure dairy breeds are not always suitable for organic conditions, especially with lower levels of concentrates being fed as required in organic farming,” says Karol. “By cross breeding, we obtain good hybrid vigour; our annual yields are in the region of 7,000 litres, with cows having between 7-10 lactations. In organic farming, the focus is on the welfare of the animal and sustainability of the entire farming system. Like other organic dairy farms, the aim is to produce as much milk as possible from the cheaper sources, such as grass and forage, and they average 4,120l from the herd annually. “We are planning to build a custom-designed housing unit with a focus on animal welfare, increasing space to roam around and allowing cows to express their natural behaviour by giving them access to milking robots whenever they choose. Milk is destined for the north-west processor Aurivo. The nearby Glenmore Estate is in conversion to organic production with the IOA and is home to the beef and sheep enterprises. “We focus on breeds that make sense for this area – for the more upland areas, you need animals that are good on their feet, so we have a flock of pure Lanark ewes, which are a prolific and vigorous breed,” says Karol. They also use AI for the beef unit and, at this time of the year, use a Lely Robotic Vector feeder to feed the herd. Animals are weighed to establish proficiency of feed conversion and profitability for finishing stock. “We are trying to introduce precision farming into all aspects of what we do to ensure efficiencies, which are important when farming at this scale,” says Karol. “We are aiming for self-sufficiency in terms of production and plan to have a closed system which we hope to achieve by the end of 2019. Ecology is one of the core principles of organic farming and individual farms are encouraged to attain ecological balance through the design of farming systems, establishment of habitats and maintenance of genetic and agricultural diversity. Karol is working with the IOA to design a tailor-made 10-year biodiversity plan to enhance the unique ecosystems located around the farm. “The project will focus on the wider agro-ecological environment, including enhancement of diverse agricultural landscapes, biodiversity, climate, air and water. While this is outside the scope of certification, we are very excited about this plan and feel that it will make a real difference to the ecological performance of our land,” he says. The farm includes 3,000 acres of forestry, a mix of premier woodland and silvo-pastoral agro-forestry. There is a 10-year plan in place to improve the extensive hedging network across the farm, coupled with the introduction of agro-forestry to provide improved shelter belts and nesting habitats. “In the interest of health and safety, we obtained a licence from the Department to cut hedgerows and remove some trees at An Grianan, which did attract some negative press. Last year at Glenmore, we planted almost 60,000 trees, including 700 mature trees, and this year we are starting an extensive planting programme at An Grianan in line with increasing biodiversity on both farms,” says Karol. In agreement with the National Parks and Wildlife Services (NPWS), over 400ac of grazing land is set aside from October 15 to April 15 every year to overwintering greylag geese and whooper swans, who travel over 1,500km to make it their home. “From the roadside, it looks like sheep grazing, but when you get up close, you are amazed to see this flock of birds tirelessly grazing the land. We get lots of people stopping by to watch them in action,” says Karol. Karol employs over 70 people from the local area to work in the farming and renewable energy company. “We have a great dedicated team on board to help achieve our varied goals, and they contribute to a dynamic sense of community in the business,” he explains. His wife Chantelle, also a Ballybofey native, works off farm as a nurse. She has an interest in horses and keeps 20 mares at Glenmore Estate. “Chantelle has established a sport horse breeding programme,” says Karol. “She has sourced mares from all over Europe. Our emphasis is on quality and we aim to breed high-class foals to sell at weaning. Currently, they are preparing to apply for planning permission to build a farm shop to sell a range of organic products direct to the public. “As part of our business plan, we looked at traffic volume and over 25,000 cars pass An Grianan every day, so we feel that there is a market there to supply our organic meat and additional organic products. The Rural Enterprise Skillnet is funded by member companies and the Training Networks Programme, an initiative of Skillnets Ltd. funded from the National Training Fund through the Department of Education and Skills. SACs: What Are They And Who Gets Compensated? 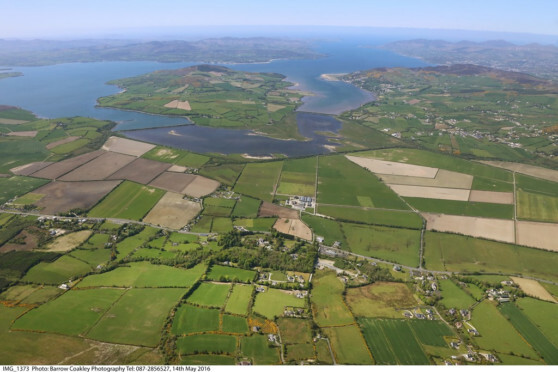 Local Authorities – Busy Enough In The Battle For Ireland’s Bees?